Luxol and Valletta kept winning and sharing the Elite’s leadership before the Playoffs Final Stage. This will lead both teams to play a decider in order to determine the first and second place to be placed in the respective playoff’s fixture. The decider is set for Tuesday 27/2/18 at the Corradino Sport Pavillion and kicks off at 8pm. Luxol easily made it 6-3 against Hamrun Tre Angeli, who will also be participating in the Elite Play Offs. Luxol’s Maicon Silva proved an outstanding performance and had a hat-trick. Emil Andrei Raducu, Mark Zammit and Andy Mangion added more goals for Luxol. On the other hand Hamrun reduced the matters through Daniel Mifsud’s goal and Stefan Camilleri’s brace. In another entertaining and balanced encounter, Valletta proved to be the better side against a tough Mriehel ESS. Mriehel ESS had their positive moments but weren’t enough to beat the Citizens. The Lillywhites won for 5-1, including braces from Denis Di Maio and Camilo Andres Gomez Vanegas, together with Murtaz Kakabadze’s goal. Mriehel ESS’ goal from a powerful direct free kick outside the penalty area, scored by Essa Benatiya. In Division One, Swieqi United U21 ended their season’s commitment with a narrow defeat of 3-2 against Qormi. James Tabone, Elvis Pajo and Miguel Alcaraz were on the mark for Qormi, while Matthew Micallef Thompson and Robert Stoyanov scored for Swieqi United’s lads. Tarxien JMI outclassed Junior College as they won 11-3. Tarxien JMI were leading 2-1 before half time but in the second half took full control of the match. Tarxien JMI’s score sheet was made up of five goals by Craig Pickard, Uros Markovic and William Barbosa braces, Denzil Pisani and Chris Muscat’s own goal. Arturo Garcia de Hora, Fabio Miguel Fama Gaspar and Andrè Ciappara scored for Junior College. 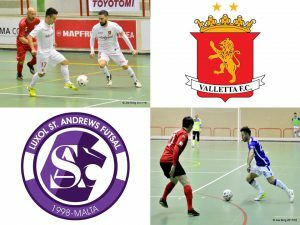 The match between the University of Malta and Pietà Nordiska had to be postponed, due to more leakage from the Corradino Pavillion’s roof.